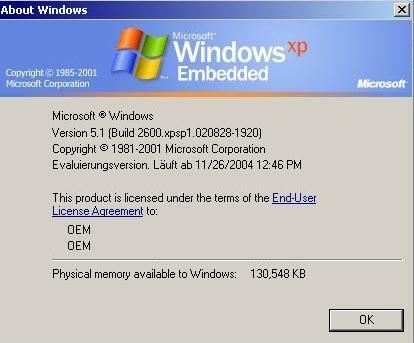 You need to install the Windows Embedded Studio and the Target Designer first and manually build an image that is exactly assimilated to the hardware you're running it on and contains exactly the software components you want/require it to have. Then, the image/directory structure is built and this master image (or its contents) need(s) to be transferred to the HD of the target system. As a final step, you have to manually install the NT boot loader and point it to the XPe OS, unless you have already built a bootable SDI image - in this case, you just need to transfer the image over. Actually, the first disk should be bootable. 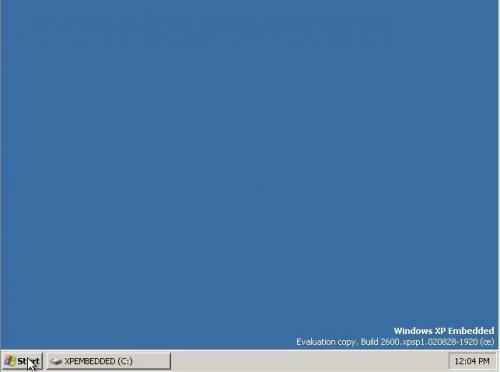 It boots into Windows XP Preinstallation Environment. (something like that). 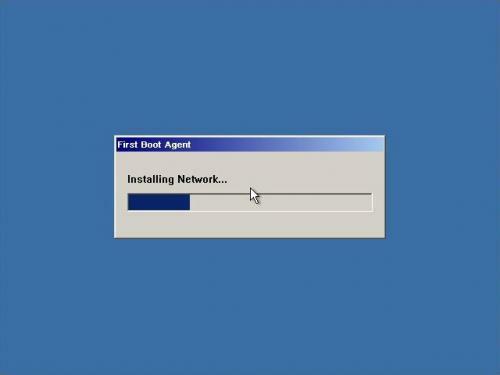 However it is rather useless and you do need to install the software on the disks. Also you should see if you can find the 3rd disk which includes Service Pack 2. Hmm, actually my 1st XPe disk (this is from the download) contains some files (win51, win51ip, win51ip.sp2, winbom.ini) that could mean something regarding bootability, but there is no WinPE OS structure or image on the CD that could be booted even if the disk was indeed bootable. So I think it's not bootable, none of them are. I just checked it is bootable, I also checked on the site from where I downloaded it.......... and it is an unmodified CD. I also checked the documentation, it does mention it as a bootable disk. OK, so I stand corrected. The download I got is the evaluation kit from MS, and you don't get the actual disks as ISO images, but rather the files, and I think the files that are on my 1st disk don't qualify as a bootable OS and the documentation I got with it doesn't say anything about it as far as I can see. Can you link me to your documentation where this is mentioned? Also, can you give me more information on your disk? Disk 1 is Sp1 embedded, Disk 3 is Sp2 Embedded, both Genuine iso's..
Couldn't say where I got the set from though..
@Namronia: CD #3 contains SP2. @KenOath: When you boot from CD #1/#3, what does it boot? PE? 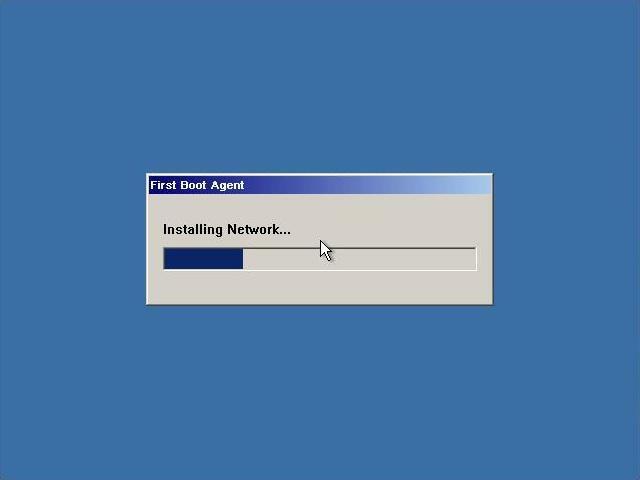 ok, and the fba (first boot agent) does i only know from eiger/flp, is it @ embedded to? Yes. FLP is (partly) based on Embedded. 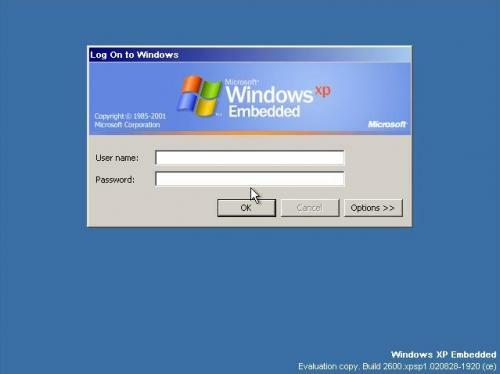 Haven't you seen my screenshots above, one shows the FBA on Embedded? have you got a german embedded? 2. No. But I don't use German OSes primarily anyway. I believe there's only a MUI available for XPe, as the base OS is in English. It's the same with FLP. Does XPE can boot directly from PXE ? In france, they uses WXPE at McDonald on PIII 800/128Mbits, and the system runs well. Has anyone made an embedded image for a desktop machine? It would be cool to have one made for gaming and surfing then add componants from secondary apps for other needed things. And as far as the "XPe image on *mule" goes, how would the creator deal with the thousands of possible hardware configurations that his image could come across with? As I said, I have made an XPe image for use within Virtual PC and I am quite sure it could be adapted for use on a desktop PC as well, but in order to alter the image, you have to rebuild it. If you need a really stripped down XP image for gaming and that stuff, use XP and nLite it heavily. I built one for my laptop (I don't have a desktop). 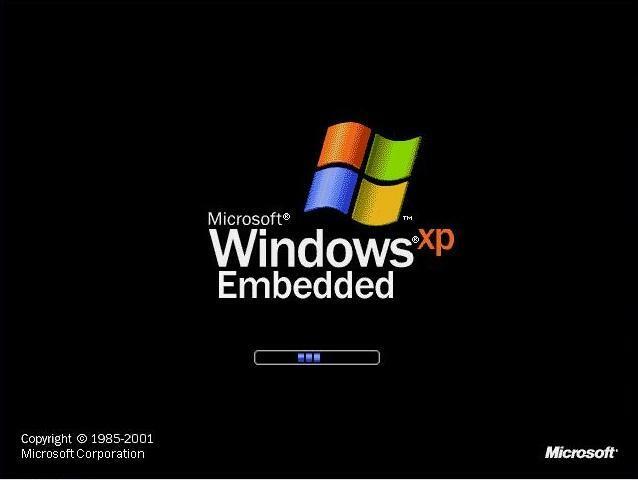 It wasn't that different in terms of speed or similarities from a regular XP, for gaming to work you need quite a few things from a normal XP installation. The stuff you didn't need was part of the base system so couldn't be removed. I've tried to search PXE solution in the MSDNA database last year, and i get nothing. I'm very happy to see that That could be funny to try.